After a week of voting and generating awareness for each of the finalists, Ryan Sheckler and the Sheckler Foundation are excited to announce Team Lilly Foundation as its latest “Be the Change” recipient. As a beneficiary, Team Lilly will receive a $10,000 grant from Ryan and the Sheckler Foundation to help families battling pediatric cancer. Team Lilly Foundation’s mission is to bring light to the reality of childhood cancer, while providing a hand to the families affected. Team Lilly Foundation will utilize the $10,000 grant and support from Ryan and the Sheckler Foundation to help families with bills, travel for treatment, birthday and cancer-free bashes, holiday care packages to 200 kids three holidays a year and too often, funeral expenses. 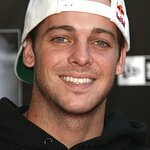 Ryan Sheckler’s “Be the Change” initiative was created to help injured action sports athletes and children in need. Since starting in 2008, the Sheckler Foundation has been paying it forward to help numerous individuals and causes. The past “Be the Change” recipients of this $10,000 grant include: The Port Gamble S’Klallam, Peach’s Neet Feet, Ashley Wade Foundation, Hope for Carter, Gamerosity, Andrew Hale’s Road to Recovery, Coping Mechanism-Parisite DIY Skatepark, Talk About Curing Autism (TACA), Adventure Club and Books and Boards. For additional information, please visit shecklerfoundation.org.